When Gmail was released all those years ago, I secured a Gmail address so I could access Google products and have my name as my email. Pretty straight forward! Then, years later when Google released Google Apps (which has a variety of business services, including email hosting) I transferred the hosting of my personal email, sarah@sarahdoody.com, to Google Apps. I did this because it was a good price and because Google’s search function within email is the best and a total life-saver. Now, when Google Plus came out, it was only accessible to people with Gmail accounts. For some reason, Google didn’t let Google Apps customers become Google Plus users. 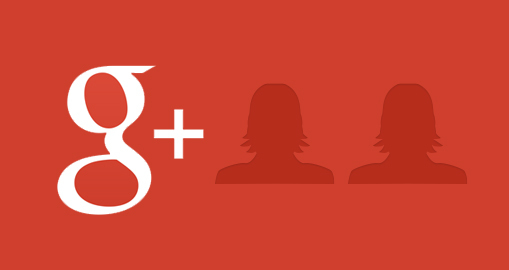 But at some point, Google Plus decided to open things up and let Google Apps customers have profiles on Google Plus. So my problem now is that I have a whole community of people around my Gmail account. But recently, I noticed that people are starting to add me using my email address sarah@sarahdoody.com. This is turning into a very annoying problem and I don’t want to manage two Google Plus pages, that’s crazy! As far as I can tell, I can’t turn off my second Google Plus profile. You know what else is a problem? When people try to invite me to Google Hangouts I have no idea which of my identities they are inviting. So I have to hunt around and check my two Google Plus pages and my two email accounts. Normally I can’t find the invite in any of those places and I end up having them Skype me a link to the Google Hangout … how ironic! So, enough complaining … what is the solution? Well, ideally I would be able to attached 2 email address to my Google Plus account. In other words, I want to merge my two Google Plus accounts. This seems pretty basic. Or, to simply things further, it would be fantastic if I could turn off one of my Google Plus accounts or have some type of message display on one of the pages that says “Sarah would like you to follow her on this other Google Plus Profile that she has” … although that would be quite clunky! I’m sure I’m not the only one who has this problem, especially as so many companies are using Google Apps to host their email. This is a great example of how the full user experience was not thought through in its entirety. I just can’t figure out why this was missed when planning out these features and the impact of people likely having both a Gmail address and another email address. If anyone has a solution to this, please let me know! I would love to solve this because it’s a growing problem … literally! !